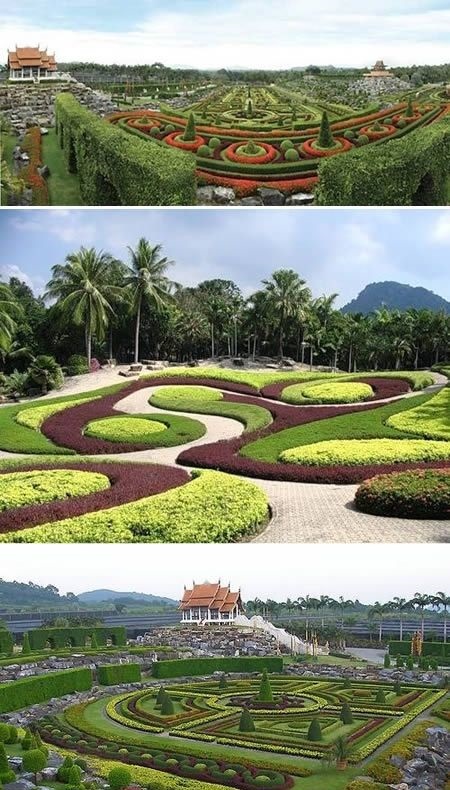 This incredible park is situated in Pattaya, Thailand. It is popular among tourists because of stunningly beautiful landscapes and marvellous views. Everything there seems to be from a fairy-tale. It is full of Thai style houses, villas, banquet halls, restaurants and swimming pools. A vast 600 acres area was bought by Mr. Pisit and Mrs. Nongnooch in 1954, this land was predicted to be a fruit plantation, but, Mrs. Nongnooch made a trip abroad and came back with a firm decision to create there a tropical garden of ornamental plants and flowers.